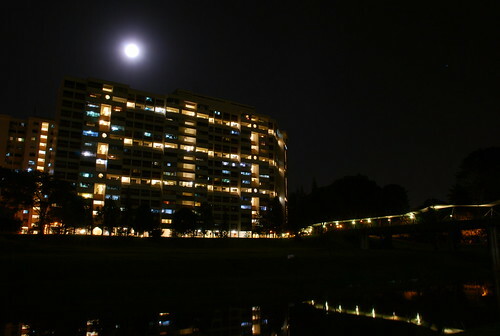 Full Moon Day, originally uploaded by ZackTwin. This photo was taken in 2008 on a full moon day of December. I think the moon on that night was brighter than other full moon and my mood was really good. I didn't edit the photo and just post it here as it is. I checked today Super Moon but it's not very nice from the place that I view. So I am just posting this photo to say Happy Super Full Moon Day (Ta-Baung Full Moon Day in Myanmar Lunar Calendar).